When you are running your own business at home, it can take all of your time and energy just to keep it running smoothly. You will constantly be looking to create more leads, work with more clients and also make sales. Although all of this can be good for your business, if you are always working so hard, you can quickly start to burn out. To prevent this, small business business owners should make proactive decisions to make their business run smoother from the start. It makes sense to research smart decisions that will be cost-effective from the very beginning. 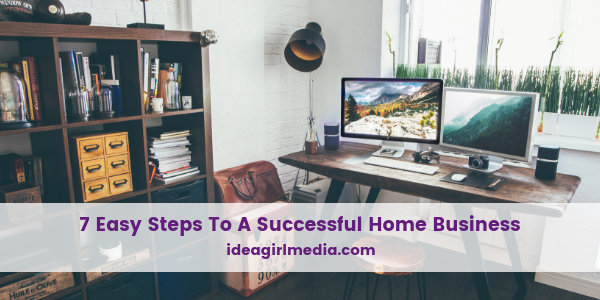 Here are seven easy steps to a successful home business. When you are first starting out you will likely be wanting to do everything yourself, and it may make sense. However, as things evolve, you will start to find that you have less time to do everything you need to do. It is when you reach this point that you need to think about outsourcing some of your smaller tasks to others. It might mean recruiting other people to work for you, though you will then need to find somewhere for them to work which might not be possible in your home. Another alternative is to use freelancers. They can be hired for individual tasks or for long-term projects. It depends on what you want and need. It will also save you some money as you won’t need to offer them paid holidays, sick leave, or other typical workplace benefits. 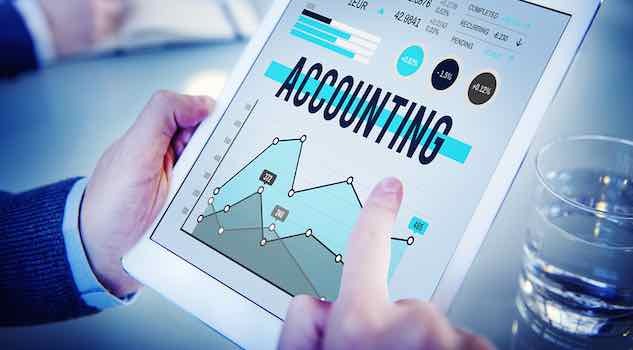 Along with outsourcing work to others, you should also be looking to streamline your existing work. Take a look and see if there is anything you are doing that you can make easier or remove altogether. For example, you might be doing something that you started doing on the first day, like writing down all your orders. However, you might have upgraded to a computer system, so this manual log is no longer needed. You should also look at how you are ordering supplies and working with your customers. There may be many ways that you can shave off time to create a less cluttered and hectic day. Communication is at the forefront of what your business should be about. The way you communicate with your customers and your clients will determine what they think about you and your company. That means you not only want to be communicating effectively, but you also need to be prompt and personal. Think about your communication style and if this is the most effective way for you to do business. Most companies use emails, but this relies on the fact that both parties will be around to check them and answer. A more effective way may be to use text messaging or perhaps a messaging application which will allow you to chat in real time and save everyone time waiting for replies or clarifications. Although you will still want to use emails, reserve it for those official letters or other communication that needs to be more structured. If you are spending a lot of time doing the same thing, then perhaps you can save a little time by automating the related tasks. For example, if you are dealing with sales, then consider directing your customers to your website to an online sales system. Although you might want to keep a personal approach, it will save you a lot of time, and it will be more secure. It will be fast enough to be effective and efficient for your customers. If you are one person answering the phone from prospective clients or customers, then think about using an outside company to field some initial calls. You can still have the personal touch as they will be speaking to a real person, but everyday inquiries can be quickly handled in a cost-friendly way. With all the best intentions and learning, you are not going to be perfect at everything you do in business. There may be many things you want to learn, but in the meantime, think about the best interest of your home business. All of that keeps you developing your home business, rather than squandering time learning things you may not be good at. All of those items lend to efficiency. The right software can often offer additional help and support that you might not even realize before checking out all the options. One of the most time-consuming parts of running a company can be traveling. Going to meetings or seeing suppliers can eat up a lot of your day. Especially if they are far away. This travel time could be spent doing other productive things that develop your home business. Instead of having face-to-face meetings, consider video chat instead. It is a much faster way of communicating, and it means you can still see each other. Very convenient for those located in different countries! Video Chat Tip: Have documents and slides ready to go so you can easily pull them up during the meeting. You can also share mock-ups or displays of your products with your camera. Once you have started to create more time, don’t fill it with more work. Try to weave in time to take a break. Although you want your company to be the best it can be, you are likely to suffer both physically and mentally if you don’t experience some down time. If you are well rested and relaxed, you will be more efficient and more productive in your work. You will also be able to think more clearly and make better decisions – Qualities that make you a more polished professional. If you put some of these ideas in place, you should be able to start creating more time for yourself and your family, and develop a stellar home business you can be proud of.